Photo (c) City of Raleigh. This entry was posted in Active, Art, Crafts, Music, Outdoors, Raleigh, Stage by daddyweekly. Bookmark the permalink. That`s wonderful! It really encourages creative expression in the neighborhood. 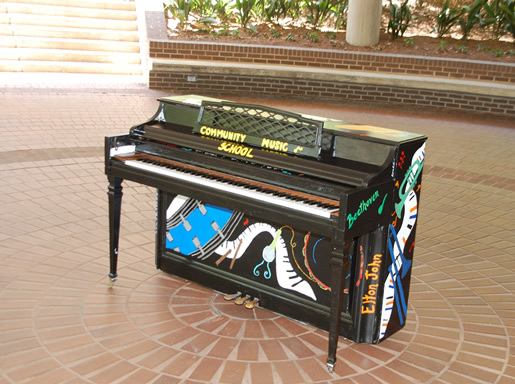 I saw a lot of public pianos like that when I visited Loveland Colorado earlier this year, so I`m looking forward to hearing beautiful music when I visit Raleigh!